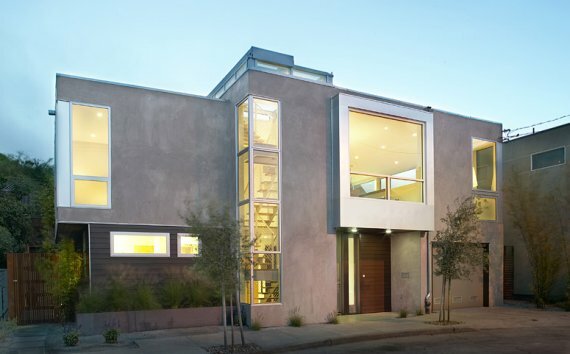 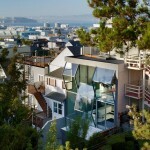 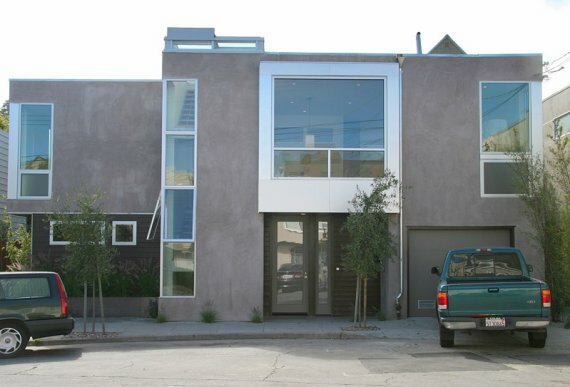 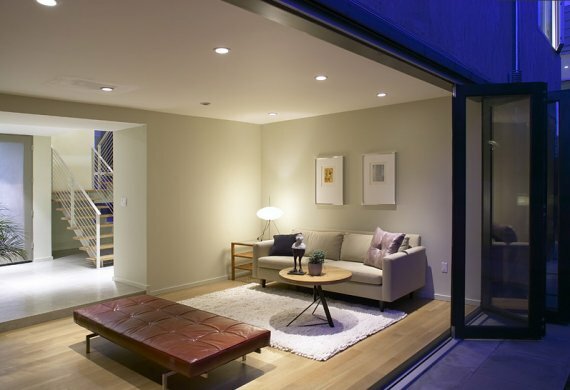 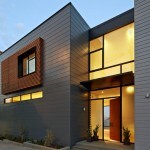 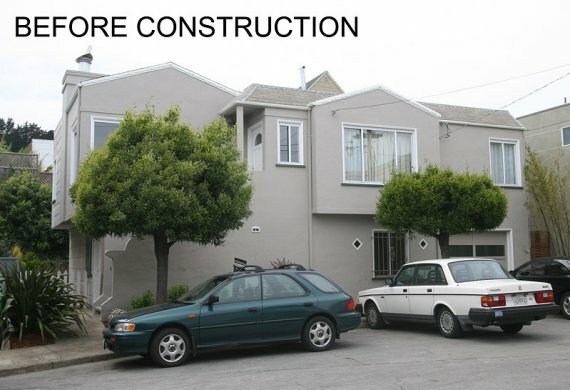 San Francisco based Feldman Architecture were involved in a total renovation of this modern hilltop house. 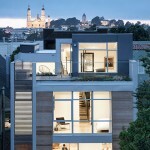 We opened up every aspect of this urban residence to take advantage of its hilltop site and access to the outdoors. 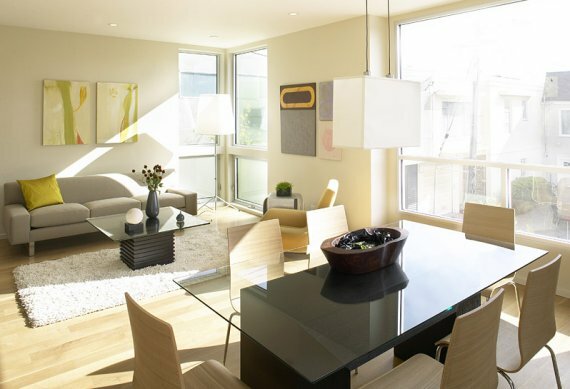 Sunlight enhanced the dramatic transformation of this house from an uninspired 2-storey residence into a sophisticated, modern dwelling. 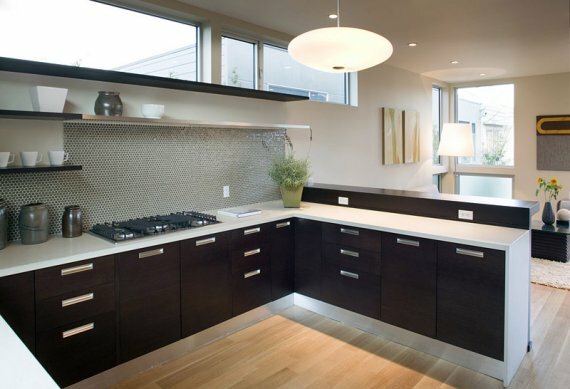 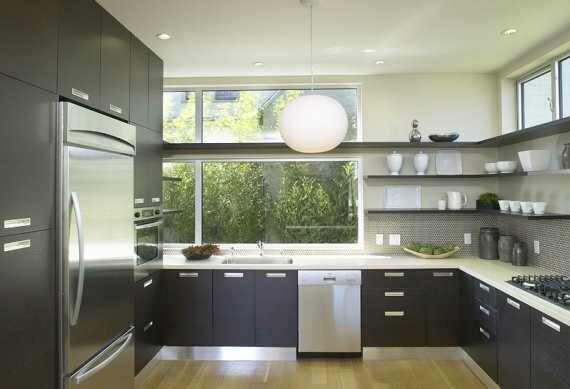 With eco-friendly principles guiding the design direction, elements that once appeared dark and unwelcoming were given a glamorous new beginning with the introduction of translucent glass kitchen tiles, white oak plank floors, and fold away ground level doors. 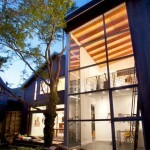 A roof that peels away to reveal a lively deck provides the final hinge to a remarkable “open box” design.